Every year approximately one million visitors find themselves walking on American soil while in France. Many people don’t realize that while paying homage to the fallen soldiers at the Normandy American Cemetery and Memorial, visitors are actually standing on American land. Located in the French commune of Colleville-sur-Mer, the Normandy American Cemetery and Memorial was the first-ever American cemetery to be established on European soil. France has granted the U.S. a concession to the land, meaning the cemetery is a U.S. territory within France. The American flag flies over the area and the site is managed by the ABMC (American Battle Monuments Commission), a small agency of the executive branch of the U.S. federal government. Established by the U.S. army on June 8, 1944, the 173-acre cemetery is the resting place of 9,385 American soldiers, the majority of whom lost their lives during the D-Day landings. In addition to the graves, the cemetery includes a memorial to honor the names of the 1,557 missing in action. Perched on a bluff overlooking Omaha Beach (the landing site that claimed the most American troops), the Normandy American Cemetery and Memorial is equally emotional as it is historic. Here, visitors can reflect on the sacrifices of countless Americans while visiting the memorial, reflecting pool, burial area, chapel, granite statues representing the United States and France, as well as the recently opened visitor’s centre. June 6, 2019 will mark the 75th anniversary of D-Day. When planning a trip to France with your students do not miss out on the opportunity to commemorate this crucial event in history. While visiting the cemetery groups have the option to pay their respects by laying a bouquet or wreath of flowers at the site-talk to your Prométour Tour Consultant to help you organize this moving and unforgettable opportunity. For more educational resources surrounding D-Day and the Normandy Cemetery and Memorial we love the insightful collection of lesson plans and teaching materials provided on the ABMC’s website. Please see the link below. 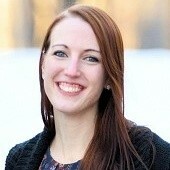 Thinking of planning an educational student trip to France? Make sure to include a stop in Normandy to visit one of the many WWII memorials. 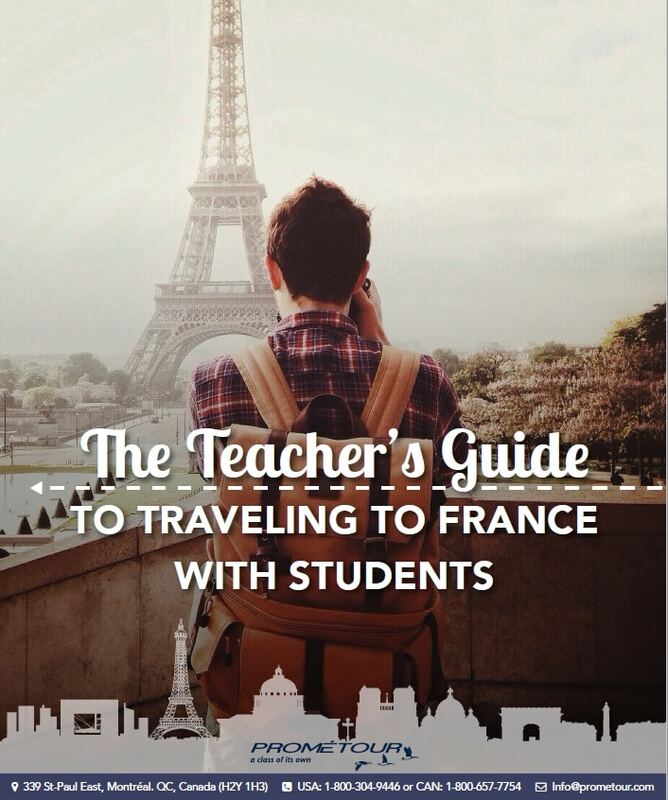 Talk to your Prometour Tour Consultant today and download the free Teacher’s Guide to Traveling to France below! Do you have any lesson plans about Normandy or D-Day you would like to share? Let us know in the comments below-we’d love to hear from you!